Luigi’s Mansion was a focal point early on in tonight’s (previously delayed) Nintendo Direct with more information on Luigi’s Mansion‘s 3DS port and the announcement of Luigi’s Mansion 3 for Nintendo Switch. 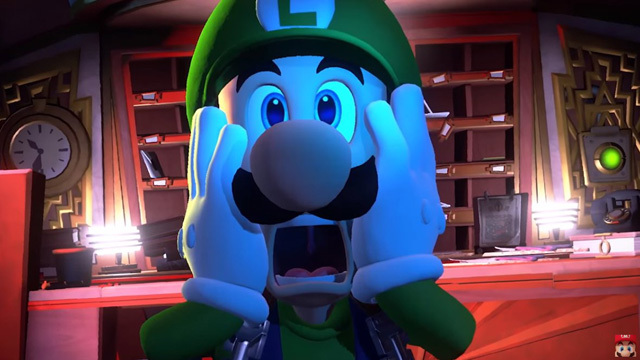 The trailer for Luigi’s Mansion 3 didn’t offer much information, but it sports spiffy HD visuals and launches sometime in 2019. The previous entry, named Luigi’s Mansion: Dark Moon, launched in 2013 for the 3DS. For 3DS, the Luigi’s Mansion remake will feature a new co-op mode, where player two plays as an especially green Luigi. It was also confirmed that the Boo, Toad and Luigi amiibo figures will have functionality. The 3DS remake launches on October 12th.